Workshop Cost: $225. To register visit the Warehouse's website by clicking here! 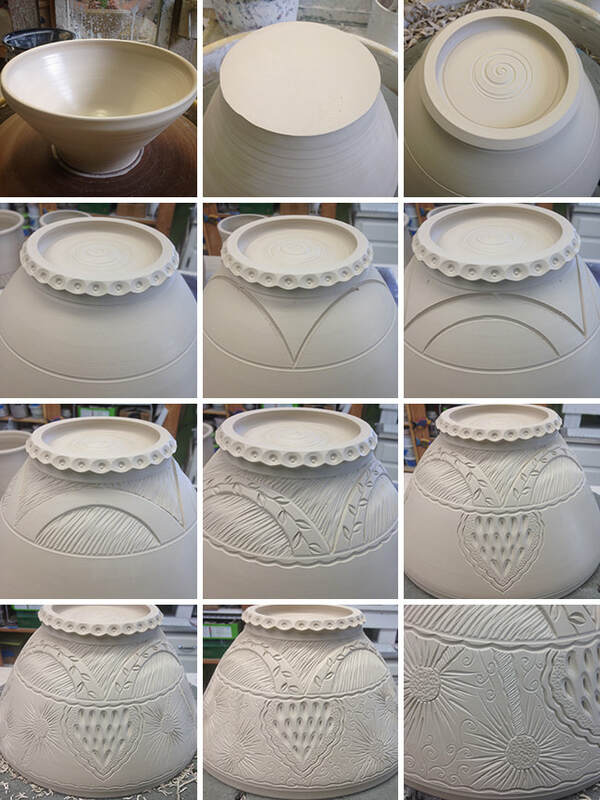 I have spent 25 years exploring surface decoration techniques on clay. My interest in combining drawn imagery with textures and color has led to a distinctive and recognizable body of work. This intense two day workshop will combine discussions of my thought and working processes, live demonstrations and opportunities for students to try the various techniques at the workshop. Saturday will start with a wheel throwing demo. 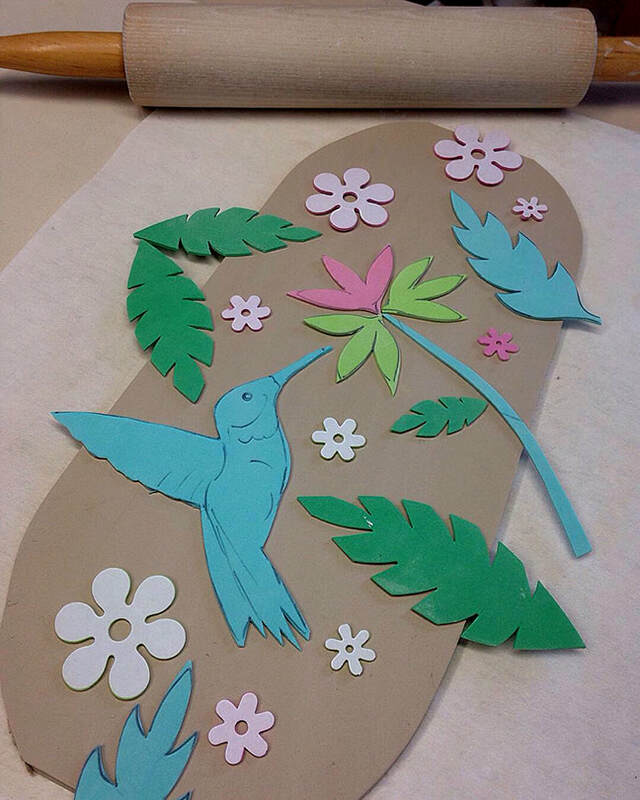 Then I will demonstrate carving techniques, including how I divide a form, the type of tools I use to make marks and clay sprig decoration. After a lunch break I will demonstrate using carved clay stamps, craft foam shapes and texture mats to decorate hand built dishes and trays. Students are asked to bring a few of their own leather hard pieces (small cylinders or bowls) to the workshop. Students may practice the techniques they have seen demonstrated on their pieces in the afternoon. There will be a casual free flowing atmosphere with lots of time for questions and conversation during and after the demos. 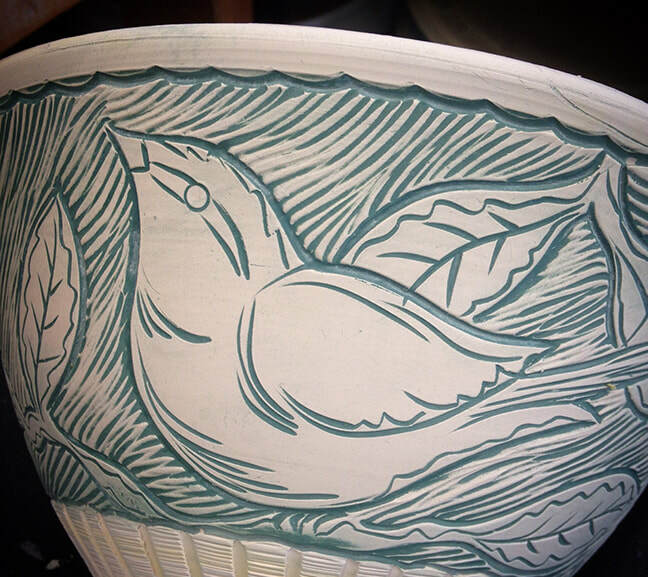 On Sunday morning I will demonstrate different methods of using commercial underglazes and/or colored slips to decorate pottery. Sgraffito, paper stencils and inlay/mishima techniques will be discussed. After lunch each student will be provided some small clay tiles to practice the demonstrated techniques. My glazing process will also be discussed in the afternoon. 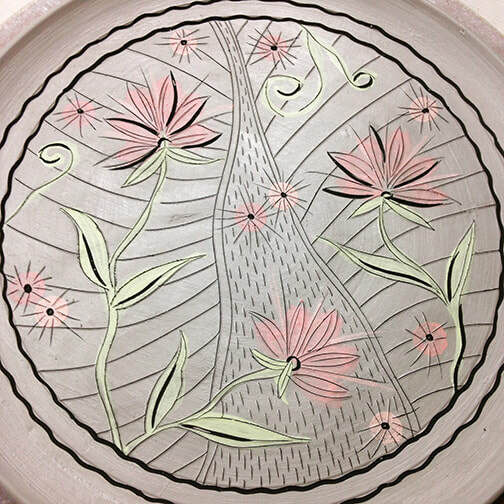 Students are invited to attend an optional Friday, June 21st Reception and pottery sale at The Warehouse Art Center. The reception is open to the public, free of charge, from 5pm to 8pm. I will give a talk and slide presentation of my journey from beginning pottery student in Chicago to full time potter in Wisconsin’s north woods. The slide presentation will begin at 6:30pm and last about 45 minutes. All are welcome! Space is limited and the deadline for enrollment is Friday, June 14, 2019. If workshop is cancelled students will receive a full refund of their enrollment fee. Out of town students should not book nonrefundable travel (airfare) until they are notified that the workshop minimum student requirement of 8 has been filled. No refund for students canceling after May 24, 2019. Structure of the workshop’s activities are subject to changes. A suggested tool list will be provided by me before the workshop. Students may take photos during the workshop, but no video. 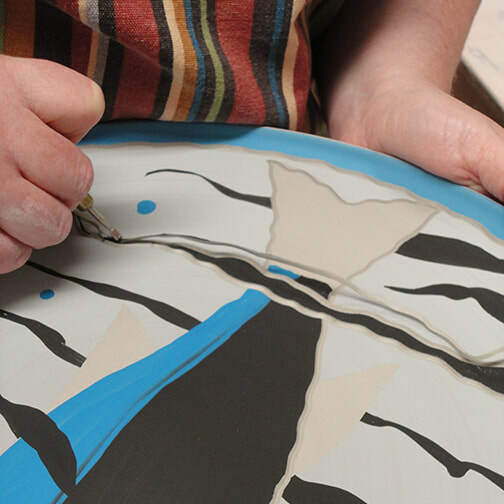 Students are responsible for the glazing and firing of pieces they make in the workshop. 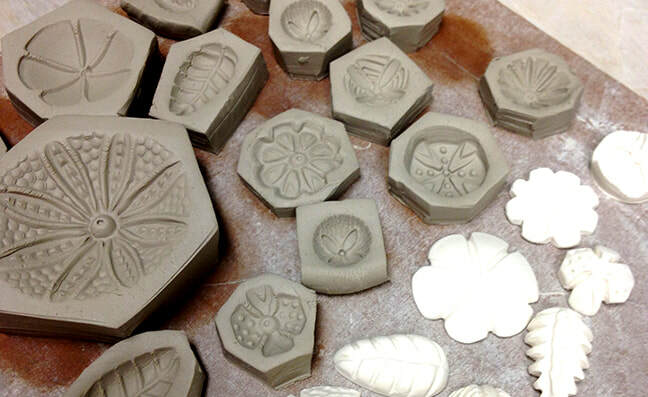 Arrangements can be made for students without access to a kiln for an addition fee. Optional Saturday and Sunday evening activities will be offered to the group. 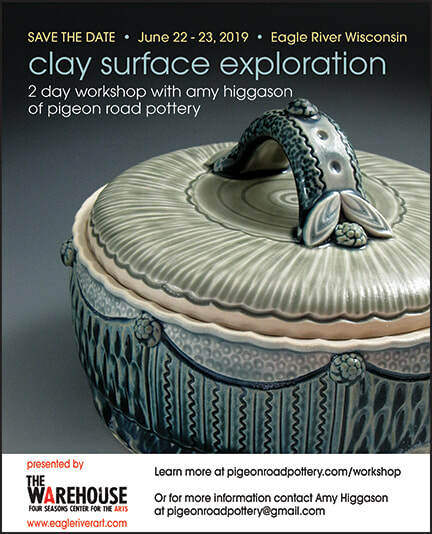 If you have any questions please do not hesitate to contact me by email at pigeonroadpottery@gmail.com.